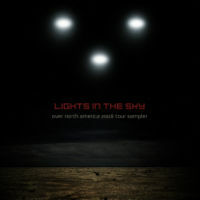 Lights In The Sky is a free tour EP promoting Nine Inch Nails' 2008 American tour of the same name, featuring a track from each supporting artist plus one track from The Slip. The sampler was released for free from lightsinthesky.nin.com on the 5th of June 2008 as a high quality mp3 download that was encoded with LAME at V0 and fully tagged, also accompanied by album art, web graphics, wallpapers and a printable tour poster. It is labeled Seed 5, continuing the sister system to the Halo numbers for promotional material. "We are Rockstars" - Does It Offend You, Yeah? 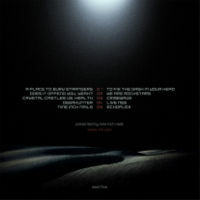 Previous release - "The Definitive NIN - Quiet Tracks" Seed number: 5 Next release - "NINJA 2009 Summer Tour EP"
This page was last modified on 14 March 2019, at 15:25. This page has been accessed 59,770 times.